It’s not just flat screen TVs that go on sale come Cyber Monday — some of our favorite beauty brands are getting in on the action, too. Here’s where to find the best discounts on beauty products to kick off holiday shopping season. Score 40% off the entire site at ahavaus.com through Monday, December 2. Enter ‘ALBATHANKYOU’ at check-out and receive a Buy 2 Get 1 Free deal on any products available on albabotanica.com. Through December 2. Enter AVALONTHANKS at check-out and receive 20% off your entire purchase at avalonorganics.com through December 2. Get 50% off all products with code CYBERMON at bigenusastore.com. Spend $55+ on all full-size products and receive an exclusive Rebecca Taylor makeup pouch as a gift with purchase. Use code REBECCAGIFT at checkout on birchbox.com. Visit blissworld.com to get 20% off all full size bliss, Elemis and Remede products (sets not included). Purchase a $200 bliss gift card for only $160. Choose five free samples of your choice with any order at bobbibrowncosmetics.com. Through Tuesday, December 3. Get 20% off sitewide and 50% off “last call” items at butterlondon.com. Use code CYBER13 through Monday. Take 30% off your entire order at chantecaille.com. Get 25% off C.O. Bigelow products at bigelowchemists.com with code Turkey1838. Through Monday, December 2. Stock up on eye creams from Dr. Brandt, which will be 40% off starting at noon on December 1 through midnight EST on Monday, December 2. Plus, score free shipping and score a free, full size BB or CC cream with any order over $150. Receive a free limited edition body wash kit with a $50 purchase at drhauschka.com. Receive 25% off sitewide at elementalherbologyus.com with code CYBER25. With any purchase of $200 or more at ernolaszlo.com, receive an 8-piece Big Beauty Bonus featuring a full-size Firmarine Neck Cream and assorted sample sizes. Get 30% off purchases on FirstAidBeauty.com and free shipping on all orders. Get 60% off all products with code CYBERMON at fathairstore.com. New visitors will receive 20% off their fragrancenet.com purchase (returning customers get 15% off), plus free shipping. 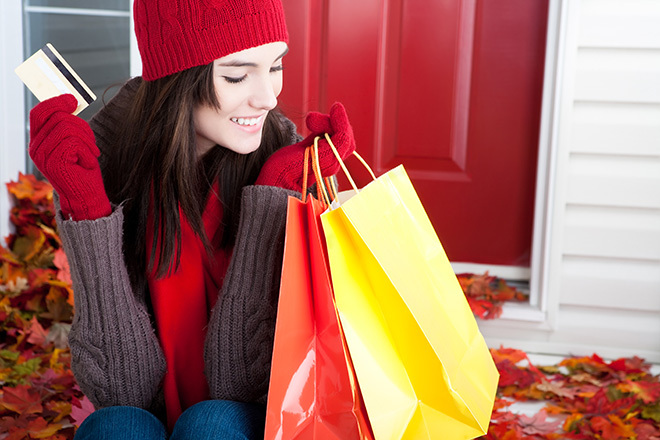 Get $25 off your $100 purchase at h20plus.com through Monday, December 2. Hydroxatone products will be 25% off on Ulta.com, and with any $50 purchase, receive a Beauty Bag filled with deluxe size samples, including Hydroxatone Anti-Aging BB Cream. Get 20% off your order at inglotusa.com, plus get a free 77 Gel Eyeliner with any purchase over $80. Through December 4 at 3AM EST. Receive 25% off sitewide at johnmasters.com with code HOLIDAY13 through Monday, December 2 (excludes 35 oz. sizes). Receive a free gift with a $150 purchase at shop.janeiredale.com, a makeup bag that includes Citrine Mystikol, Bronze 24Karat Gold, and Nectar PureGloss; a $73.50 value (promo code MYGIFT4). Through December 8. Get 30% off your order plus a free Hook Me Up Tote with code MARKTOTE30 at meetmark.com. Purchase a Moroccanoil.com e-Gift Card and earn over $150 in complimentary full-sized body products. Buy $50 in gift cards and score a Cleansing Bar; buy $100 in gift cards and get a Hand Cream; or buy $500 in gift cards and receive a Holiday Body Collection, Body Soufflé and Body Butter. Through Monday, December 2. All of the brand’s natural skin care products are 50% off at mychelle.com with code CYBER13. Use promo code CYBER25 to get 25% off all products at nourishorganic.com. Get free shipping on orders over $50 at occmakeup.com. Orders over $75 will receive a free Little Black Dress Stained Gloss, a new shade launching on Black Friday. Through Monday. Receive 20% off all orders during checkout, and 25% off orders over $60 at ouidad.com. Through Tuesday, December 3. Get 40% off the Ionic Teeth Whitening System on ionicpearl.com. Get 10% off the new Skinny Minimergency Kit (a cute stocking stuffer!) at pinchprovisions.com with code GIFTSINAPINCH. Get 60% off all products with code CYBERMON at SamySalon.com. Get 25% off sitewide at skyniceland.com, plus look for special bonus offers at 9am, 12pm, 5pm and 9pm. Enjoy 25% off a purchase of $200 or more on strivectin.com with promo code CMJINGLE25. Get 40% off the brand’s acne-clearing and anti-aging LED devices with code tanda40 at tanda.com. Through December 2. Get 20% off beauty gadgets like the Laser Hair Removal device and the Skin Perfecting Blue Light when you purchase Deluxe Kits and Pairs at triabeauty.com. Visit urbandecay.com to get the Smoked Palette and an Eyeshadow Primer Potion Travel Duo for $40 (a $58 value). Urban Decay is also throwing back to 2011 with a revival of the Book of Shadows Vol. IV, complete with a deluxe Revolution Lipstick sample. If you missed out then, now’s your chance to score one, and for only $25 (a $64 value). Use code BLACKFRIDAY13 to get 30% off all products at vapourbeauty.com through Monday, December 2. Get 25% off your entire order at vichyusa.com. Includes free shipping and a complimentary tote bag. Enter code CYBER13 through Wednesday, December 3. Get 25% off all products on usa.weleda.com on Cyber Monday.